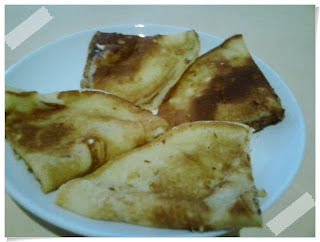 I crave for pancake every Thursday, maybe due to I free to have own style lunch on Thursday and Friday. 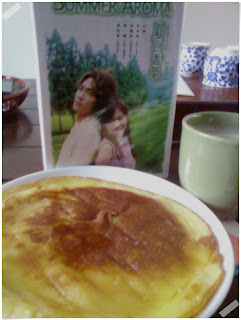 Today I made a cream cheese pancake with red bean spread and fast forwarding watching korean drama. And I learning scarf tie-ing technique, which wong called only lunatic will do that. huak him! why not for huong's viewing pleasure? *ehem..jealous! WONG:Sides...Why ur pancake begitu hitam?? Must be over baked! !